Serving all of South Carolina including Columbia, Charleston, North Charleston, Rembert, Mount Pleasant, Rock Hill, Greenville, Summerville, Sumter, Hilton Head Island, Spartanburg, Florence, Goose Creek, Aiken, Myrtle Beach, Anderson, Greer, Clemson, Blythewood, Northlake, North Augusta, Arcadia Lakes, Mauldin, Sullivan’s Island, Chapin, Briarcliffe Acres, Five Forks, Forestbrook, North Myrtle Beach and Lyman. Celebrity Greens South Carolina is the Authorized Partner and Designer and Installer of Artificial Grass, Artificial Turf and Artificial Putting Greens for South Carolina. 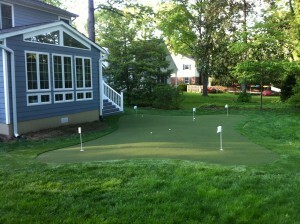 Celebrity Greens South Carolina only installs artificial grass products that are environmental-friendly. 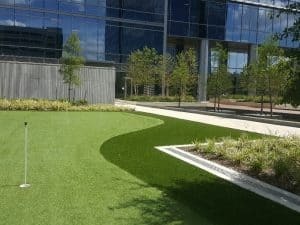 We’ve proven ourselves by installing an abundance of turf in South Carolina with satisfied customers across the state, and we have the training and experience that you are looking for. Celebrity Greens South Carolina offers products that require very low-maintenance while remaining lush and green through every season and even through our extreme weather conditions. Contact us today at 1-888-507-7960 for a free consultation!